The following piece appeared on Fauquier.com and was written by Besty Burke Parker. Virginia’s thoroughbred industry is embracing the 2019 reopening of Colonial Downs. Now the steeplechase community has an exciting development to fuel their sport. On Monday, the Virginia Equine Alliance (VEA) unveiled plans to reward point-to-point and steeplechase owners and trainers with cash payments, a plan aimed at increasing participation, officials say. 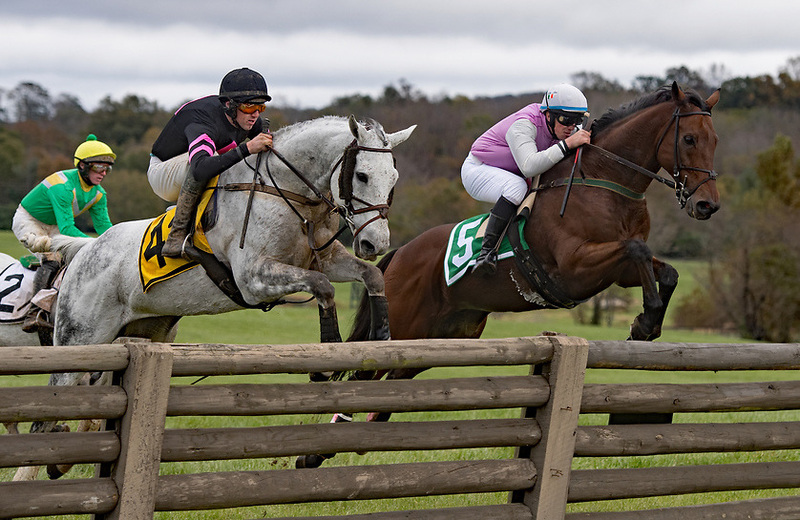 The bonus is designed to encourage steeplechase participation at all levels, from the limited “owner-rider” divisions to the open hurdle and timber divisions. The account will be funded by off-track wagering profits from the VEA, a group comprised of Virginia’s standardbred, thoroughbred and steeplechase horsemen. “VEA recognizes the important role local point-to-points play in preparing horses for the sanctioned meets and for developing young riders,” explained VEA executive director Jeb Hannum. With up to eight races at each of seven point-to-points, that’s a lot of incentive, say horsemen. “We hope this program entices people to get a (race)horse, or to put a partnership together and have some fun,” said Hannum. VEA will also give $25,000 to each of Virginia’s seven National Steeplechase Association-sanctioned meets, and donate $10,000 to the Virginia Point-to-Point Foundation. The popular Virginia-bred turf championship series also continues – $2,000 purses in a half-dozen qualifying races, leading up to a $25,000 autumn championship. Colonial Downs will open a 600unit historic horse racing operation in New Kent County in April. The track, which features the nation’s largest turf course, opens for live racing Aug. 8-Sept. 7, with 15 weekend dates planned. The Virginia Derby, a 1 ¼-mile race on the turf – is scheduled Aug. 31. Jump races could be carded each week, according to steeplechase officials. Colonial expects to produce more than 800 new jobs, $25 million in state tax revenues, $17 million in local tax revenues and $25 million annually to Virginia’s horse industry. VEA took over running four OTBs, and handling the purse account that accrues from wager takeout, when Colonial’s former owners stopped live racing after the 2013 season due to contract differences with horsemen. OTB operational control will transition to Colonial later this year, Hannum explained, but VEA will continue to promote programs that help racing and breeding from a percentage payout from HHR revenues.